Bryce Harper is truly an every night, human highlight reel. It seems like this was the moment when I noticed a lot of chatter of Bryce Harper passing up Mike Trout. 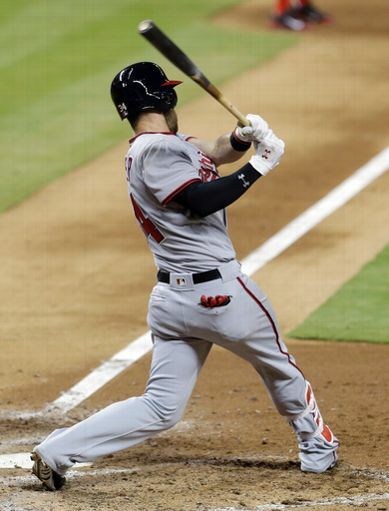 I don’t know about all that, but it was just over a week ago that Bryce Harper had no grand slams. He now has two. This one iced out the Marlins in Miami. It was his seventh home run of the young season. The Nationals won the game 7-0, and Stephen Strasburg sparkled. This one came off poor lefty one out man who didn’t get the out, Chris Narveson!